The so-called Great American Song Book was a body of material written specifically for singers who had better than average singing voices. One needed to not only be able to "carry a tune", but have a pleasant/intriguing/personable/tonally expressive quality to their singing that would make the blend of singer and song a memorable one, or at least one that entertained. 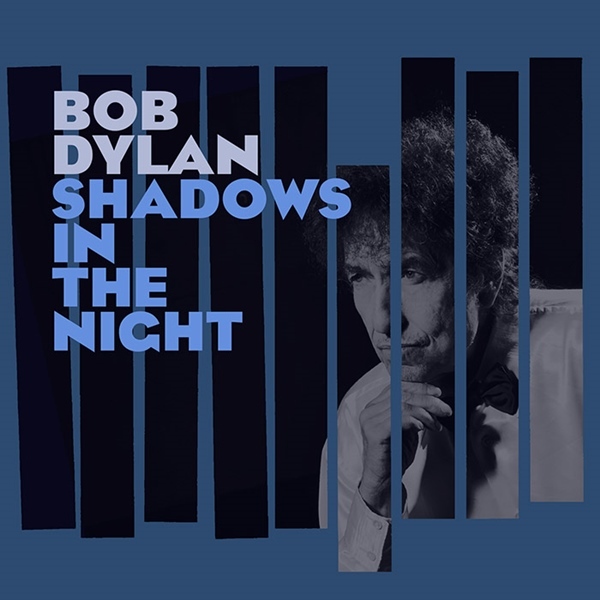 Bob Dylan, from this standpoint, is an awful singer; his genius as a vocalist was constructed on the fact that he blended his influences--rock and roll, blues, country, old-timey folk--and wrote his own songs. He created the opposite effect than the ones regarding TGASB, which was rather than melodically nuanced songs being joined with musically suave vocalists, Dylan's mirror image was that of a ruffian, a street visionary, a man with shamanistic qualities who was in touch with the wild spirit of poetry, especially the surrealist sort, and sought to capture his visions in a neo-primitive format. Smartly simple song structures and Dylan's bracing nasal sneer made it clear that he didn't carry his tunes as forced them on you. He couldn't sing well, but he could dramatize. So we have this paradox with "Shadows in the Night", a bad singer from a technical viewpoint taking on songs that, from a technical standpoint, are sophisticated to the extent that expectations demand a vocalist who can actually hit the notes correctly and do something stylish with them. The result here is an awful, painful album to listen to. It's that simple. I am sure there are subtly argued defenses of what's been done here. I don't buy the apologies. I think less of what's been accomplished with this record and more of what's been committed, as in sin, a crime, a horrible insult to the brain. It's one thing for rock and pop singers noted for singing styles that even the most uninterested among our company can admit to having tuneful voices to attempt the classic songs of Sinatra, Ella Fitzgerald, Rosemary Clooney, or a Tony Bennett. It's been interesting, if not always rewarding, to hear vocalists as diverse in approach and grit as Linda Ronstadt (good) to Rod Stewart (awful) to Pat Benatar (middling) try and wrap the gritty edge of their usual approach to a song around the sumptuous curves and segues of songs that beguiled radio and ballroom audiences in World War 2. It's become a career stunt for old rock and rollers to dig into the vaults and revive the songs their parents were listening to, something that no longer intrigues. Dylan's approach might have been interesting had he done this album quite a long time ago, when the raggedness of his singing still had a bit of a range and Dylan was capable of remaining in pitch; one thinks that Dylan of the Seventies and the Eighties, with a voice that was more versatile than people like me have admitted, could take the classic songs and truly and surely redefine their melodic and thematic essence. Dylan was not a great singer but he had a genius as a vocalist, the same fleeting skill one regards Mick Jagger's work with. He could cajole, announce, exclaim, insinuate, and fashion an effective, reedy croon to dramatize, characterize a lyric. But that is not to be and one can only sigh over what might have been had Dylan attempted a project like this when he still had the equipment to make it credible. One can only wonder, and one is better off not suffering his dead, toneless rasp here.